Cash was taken and a woman was assaulted in the incident which occurred late last night. 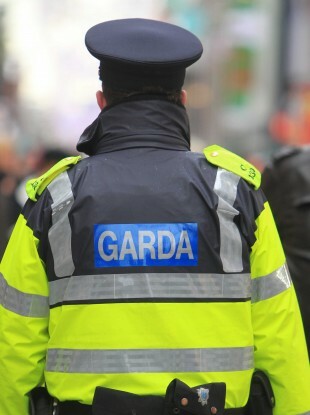 A MAN HAS been arrested in connection with a robbery at premises in Balrothery, Co Dublin in which a woman was assaulted. At around 9.20pm last night, a man entered a shop in Balrothery demanding cash and threatened a female member of staff. The woman was assaulted in the incident but did not require any medical attention. The man, who was wearing a balaclava pulled down over his face, left the premises on foot with a sum of cash. Enquiries by gardaí led them to search a house in Balbriggan where a 44-year-old man was arrested. He is currently being detained at Balbriggan Garda station under the provisions of Section 4 of the Criminal Justice Act 1984 as amended. Local gardaí were assisted by members of the Armed Support Unit in the arrest; investigations are ongoing. Email “Gardaí arrest 44-year-old man in connection with Balrothery shop robbery”. Feedback on “Gardaí arrest 44-year-old man in connection with Balrothery shop robbery”.